The varnish removal of Poedua is progressing slowly and painstakingly and we are now almost halfway through this important part of the treatment. 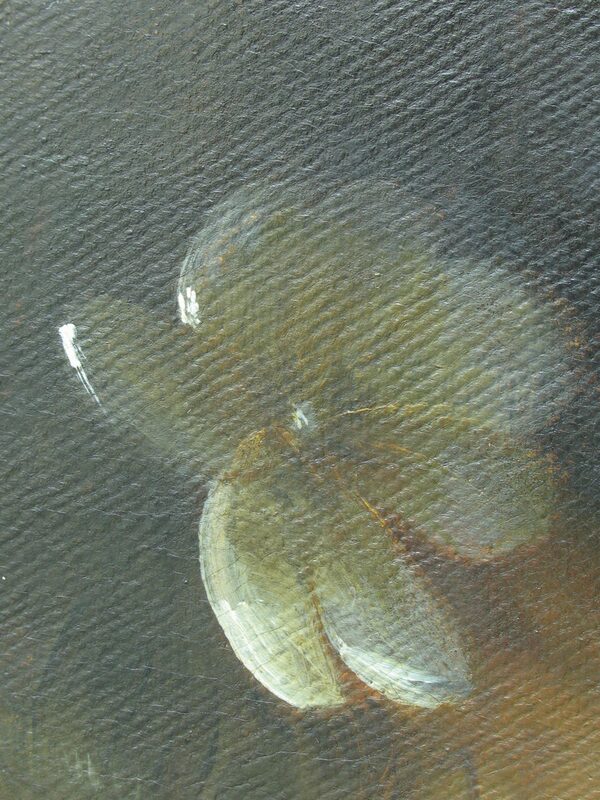 As we have mentioned before, removal of discoloured varnish can have a dramatic effect on the overall balance, colour and depth of a painting. Because discoloured varnishes like Poedua’s are usually a yellow-brown colour, they tend to reinforce warm tones but counteract the cooler colours such as some greens, whites and cooler blues. 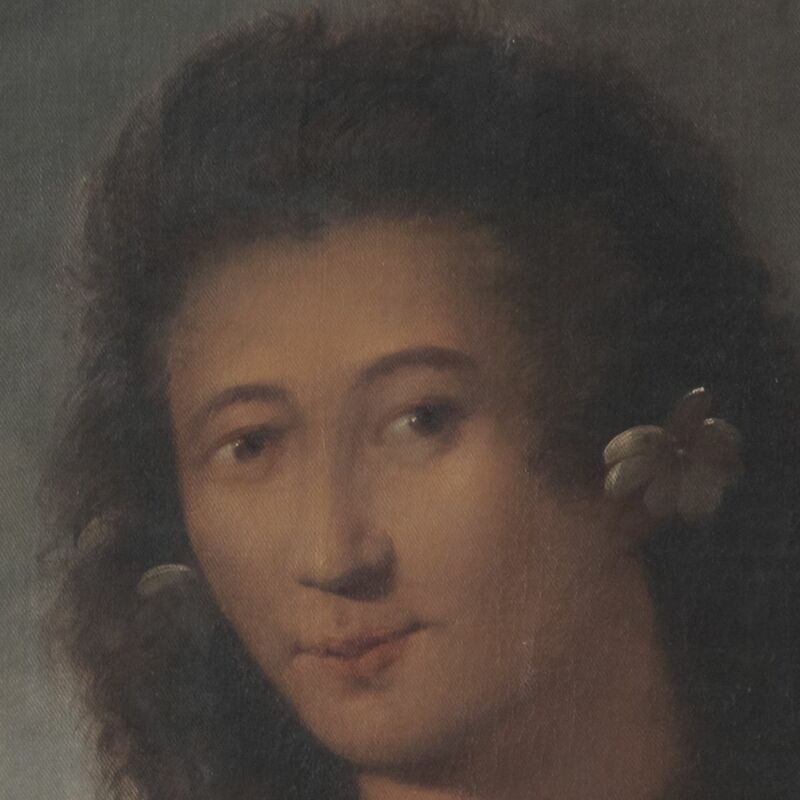 Every week we are recovering more of the artist’s original paint from beneath the discoloured varnish and overpaints and we have made some nice discoveries. 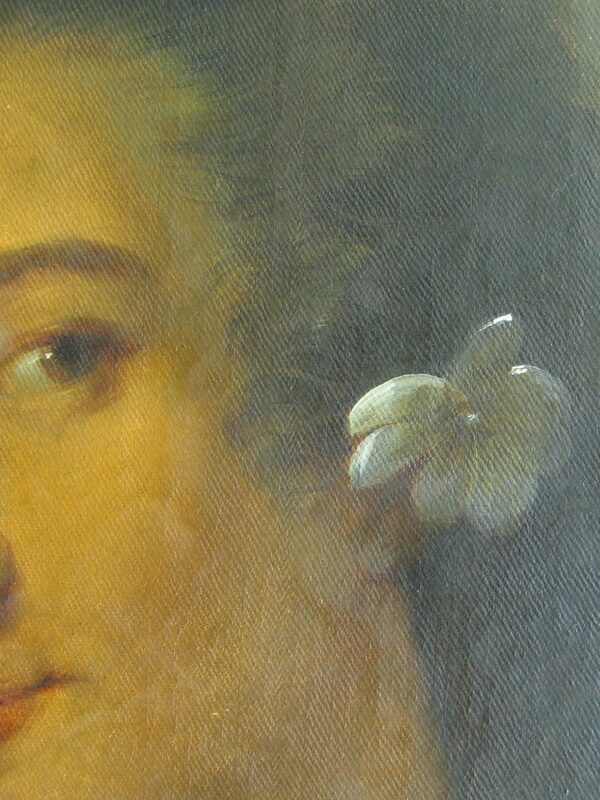 Most recently, we have revealed the beautiful colours and brush-stroke detail of the flowers in Poedua’s hair. Before we cleaned them, the flowers were quite dark and a little cloudy, making them a bit difficult to interpret. Now that the surface dirt and varnish has been removed you can see the lovely detail of the brush-work and full range of colours employed by Webber. I can smell that frangipani now – looking forward to seeing more of the emerging cooler skin tones.